TITE SEAL BUTYL ULTRA is a self-adhesive flashing composed of Steel-Loc Ultra Butyl Adhesive and a polyethylene facing material. It aggressively adheres to wood, OSB, aluminum, vinyl, house-wrap, steel, drywall, and more. 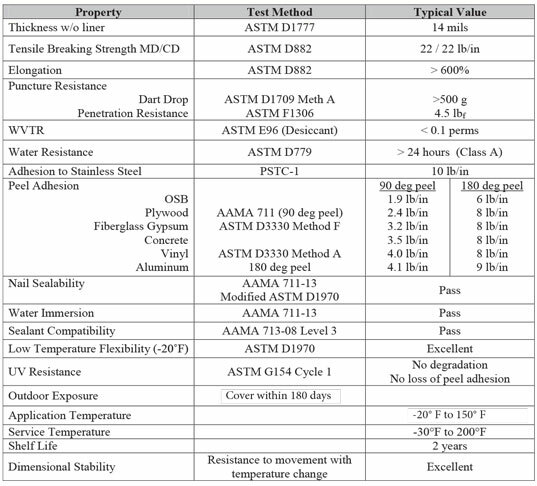 It can be applied to temperatures as low as -20°F without the need for primer. BENEFITS AND INTENDED USE: Tite Seal Butyl Ultra is impermeable to water, moisture vapor, and air. 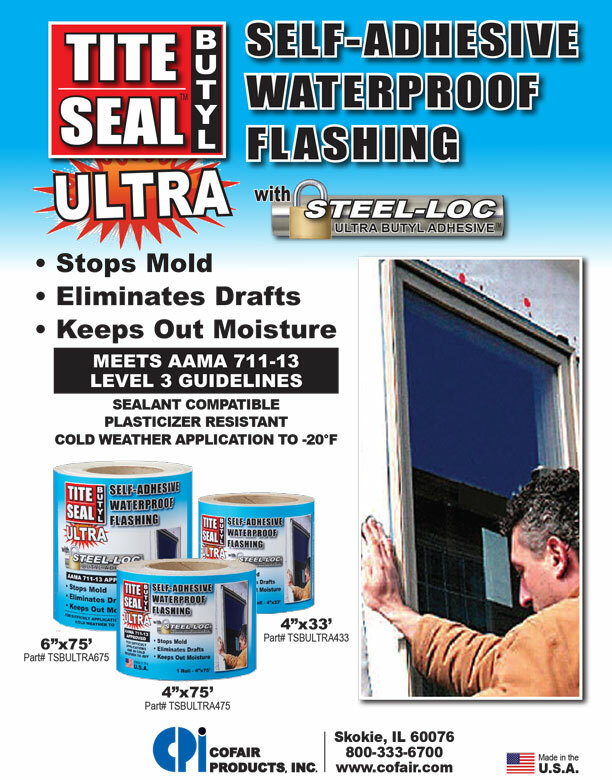 It can be used to flash around windows and doors, and to seal joints in sheathing panels, around vents, and other openings under most exterior surfaces including brick, stucco, wood, and vinyl and metal siding. SURFACE PREPARATION AND INSTALLATION: The surface to receive Tite Seal Butyl Ultra must be clean, dry, and free from oil grease or debris. Tite Seal Butyl Ultra is installed by removing the release paper and firmly pressing in place. To simplify handling, pre-cut into lengths the size of the window opening plus at least 8 inches. Before inserting the window into the rough opening, the sill should be covered with Tite Seal Butyl Ultra to protect from moisture damage in the event of a window leak. Install vertical sections first. Next adhere Tite Seal Butyl Ultra to the header flange directly to the sheathing, underneath the house-wrap. DO NOT apply over bottom flange. To assure proper adhesion to the substrate, test a small piece of Tite Seal Butyl Ultra prior to general application. Do not install Tite Seal Butyl over frozen "frosty" surfaces. Prior to applying Tite Seal Butyl Ultra at extremely cold temperatures, below 0°F, it is necessary to keep the material in a warmed environment until just prior to application. Tite Seal Butyl Ultra is designed to be covered, and can be exposed to direct sunlight a maximum of 180 days. Construction: High strength white PP film facer with a Butyl hybrid PSA.